The practice of installing and operating electric generating equipment at or near the site of where the power is used is known as "distributed generation" (DG). Smith Electric Vehicles, the world's leading manufacturer of zero emission vans and trucks, launches its first Left Hand Drive models for the Continent. The GreenXchange Leadership Conference this December 10-11 has announced the initial set of speakers. The GreenXchange Leadership Conference is the first multi-sector and cross-disciplinary event where attendees can experience a complete portfolio of green solutions and market opportunities. Today, North East England unveiled its plans to host the Energy Technologies Institute (ETI), the UK's core energy research centre to be set-up by the Government and private sector sponsors later this year. A new white paper entitled, Choosing Data Loggers for Green Building Projects: Ten Important Considerations, provides energy managers, performance contractors, engineers, and others with valuable tips on evaluating data loggers for green building applications. 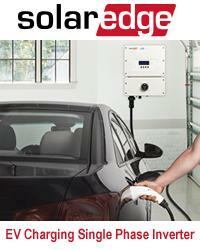 Morningstar's SunSaver is a leading small solar controller for both professional and consumer applications. TheRenewableEnergyCentre.co.uk today announced a tremendous response to the launch of the 'Guide to Home Energy-Saving'; available to download free on their website. Verde Energy, the only company to provide a trusted source for competitive quotes on solar power, solar thermal, and wind power projects, recently unveiled a video production designed to introduce solar electric systems to a mainstream audience.